She was bought into the team to manage the administration side of the business and keep everything ticking along smoothly. There are numeous tasks that this role encompasses including everything from stock control to costings and plenty more. Unique Services has grown significantly in the last year and continues to grow at a steady pace and Tracy will be a valuable addition to the team. Tracy brings with her an extensive background in administration experience from her role as Co-ordinator at VINZ. During the 12 years Tracy was there, her role grew from receptionist to operations co-ordinator, right through to rostering staff, including 15 off sites in Auckland. With plenty of organisational experience Tracy is well versed to keep the Unique Services well-oiled machine operating successfully and smoothly. 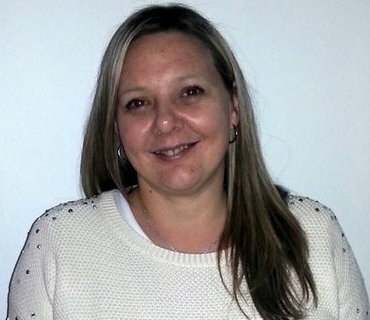 When Tracy left this role to have children she became fully involved with play centre which she loved as much as the children did: at the same time working part-time at the local video shop where she enjoyed the daily interaction of her customers. Getting to watch a variety of movies as part of her job was a bonus as Tracy is a big movie fan and being able to play new Xbox games on the job, was something she loved. Tracy and her husband Ross are parents to two beautiful daughters and love taking them out to do different things which could be anything from a walk, picnics at the playground or swimming. The girls are enjoying playing netball at present and also go to Keas which is a part of Scouting NZ where Tracy is undergoing training to become a kea leader. When time permits and the house is quiet, you will find Tracy sifting through her movie collection and taking time out to relax and watch a movie.